​The ΦBK Book Awards are given annually to outstanding scholarly books published in the United States. Winning works, which are drawn from the fields of the humanities, the social sciences, the natural sciences and mathematics, must be of broad interest and accessible to the general reader. The Gauss Award honors outstanding books in the field of literary scholarship or criticism. The prize was established by the Phi Beta Kappa Senate in 1950 to honor the late Christian Gauss, the distinguished Princeton University scholar, teacher and dean who also served as President of the Phi Beta Kappa Society. To be eligible, a literary biography must have a predominantly critical emphasis. 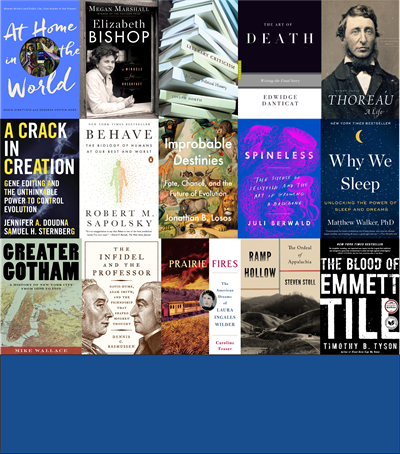 The Phi Beta Kappa Award in Science recognizes superior books by scientists written to illuminate aspects of science for a broad readership. First offered in 1959, the award encourages literate and scholarly interpretations of the physical and biological sciences and mathematics. To be eligible, biographies of scientists should include substantial critical emphasis on their scientific research. The Ralph Waldo Emerson Award is offered for scholarly studies that contribute significantly to interpretations of the intellectual and cultural condition of humanity. Established in 1960, this award encompasses work in the fields of history, philosophy and religion, including appropriate work in related fields such as anthropology and the social sciences. Biographies of public figures may be eligible if their primary critical emphasis is on the intellectual and cultural condition of humanity. 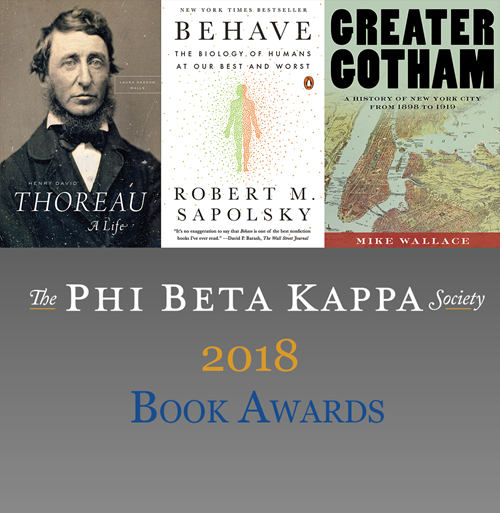 The 2019 ΦΒΚ Book Awards submission period has closed. The deadline for 2020 is JANUARY 31, 2020. Publishers seeking to nominate a book for the 2020 cycle can find more information here.